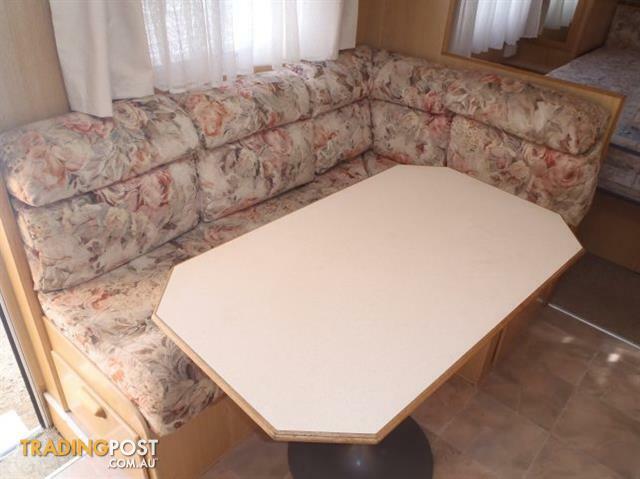 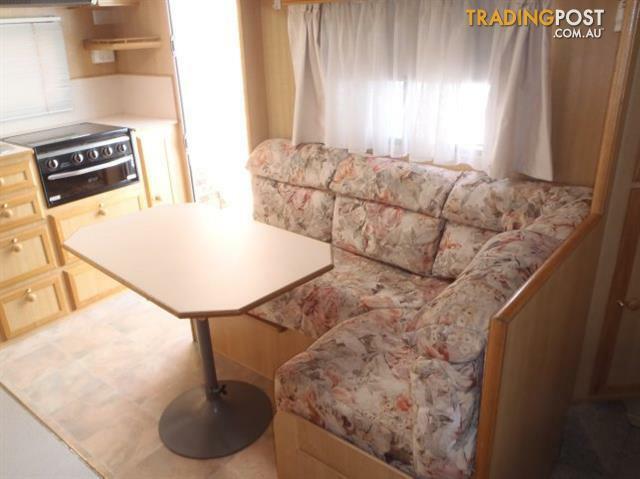 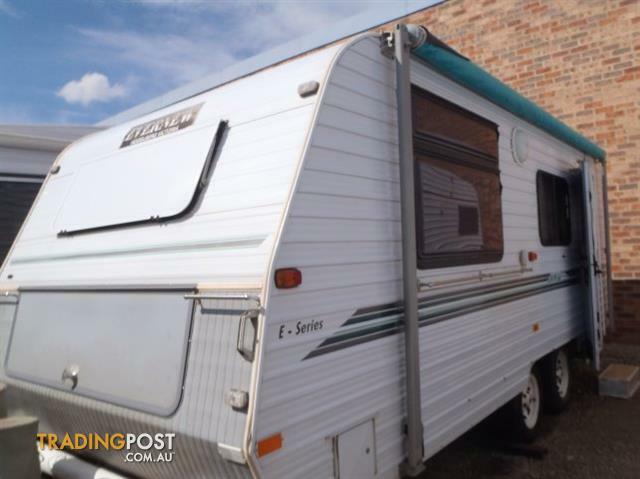 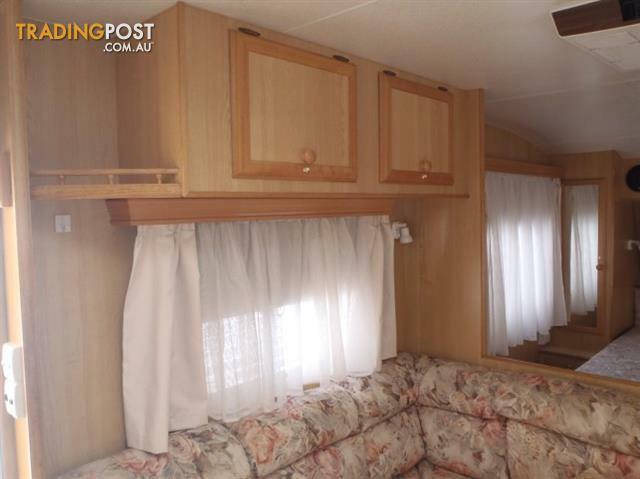 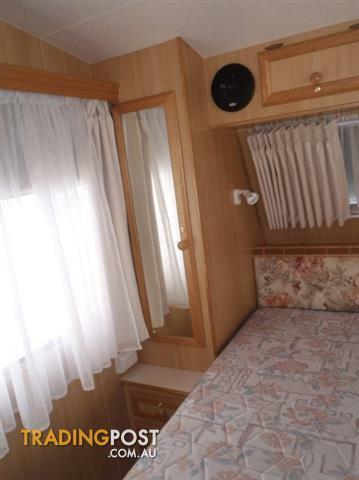 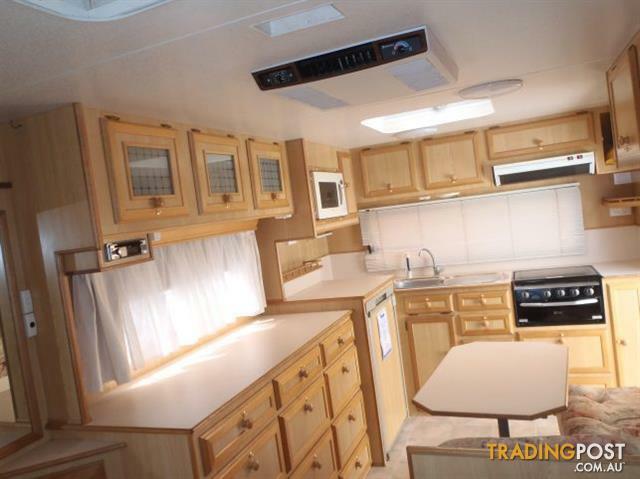 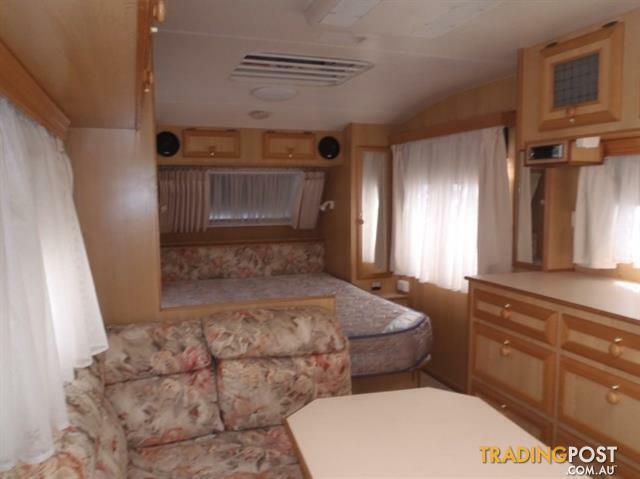 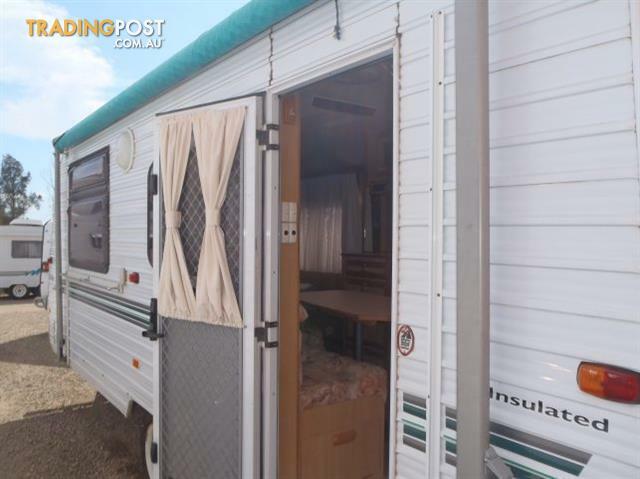 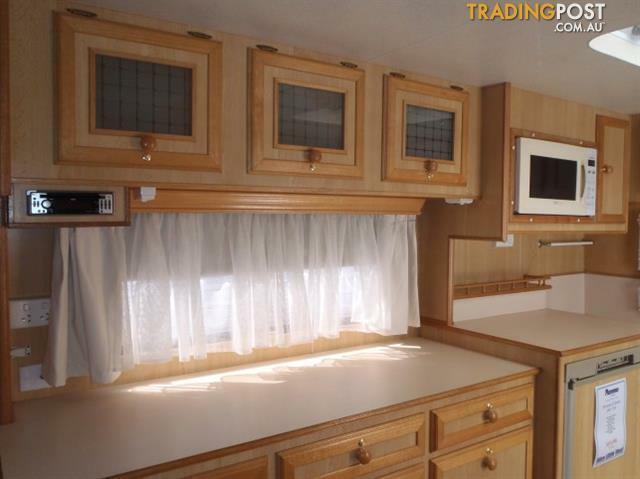 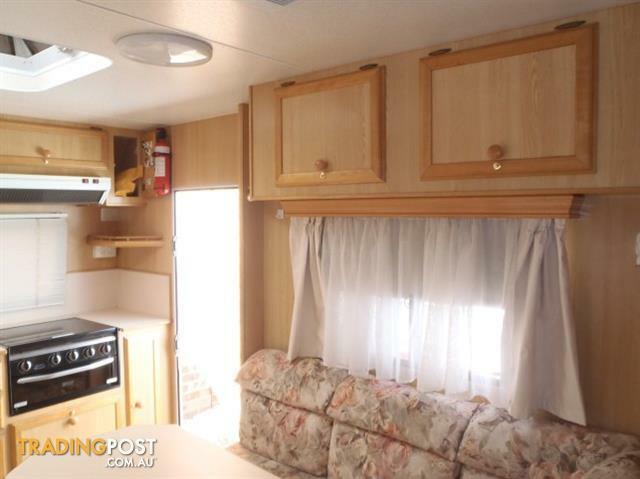 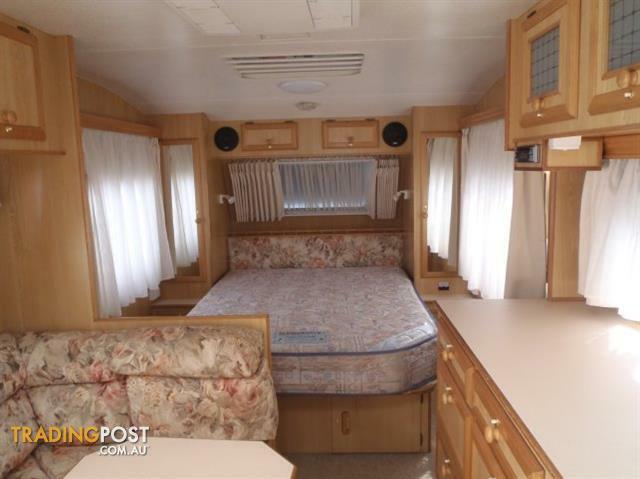 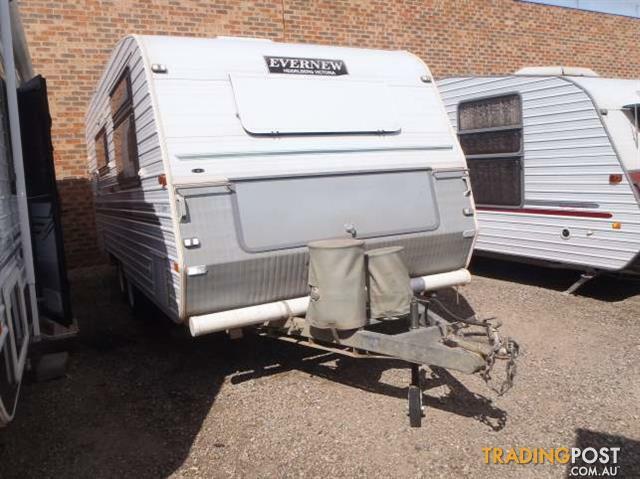 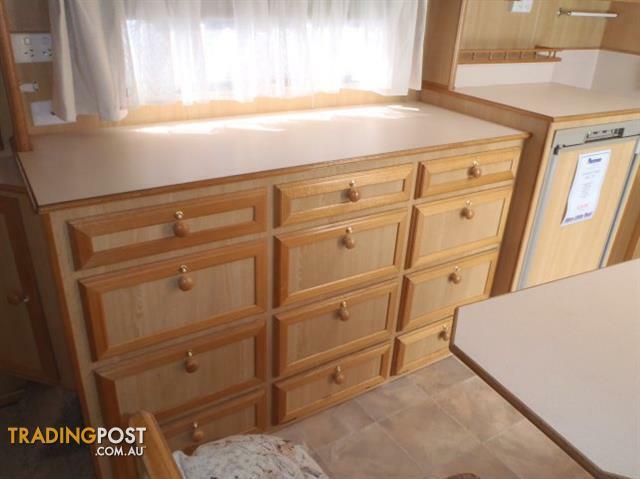 This 2001 build Evernew E series is a 18&apos;6 van, featuring a front double island bed, L-shaped lounge and 4 seasons hatch. 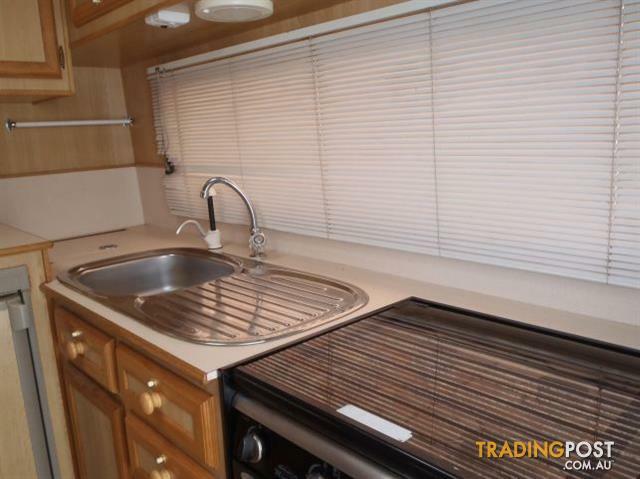 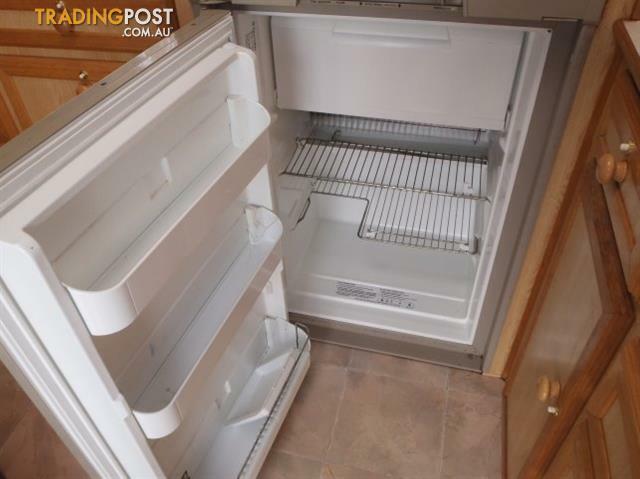 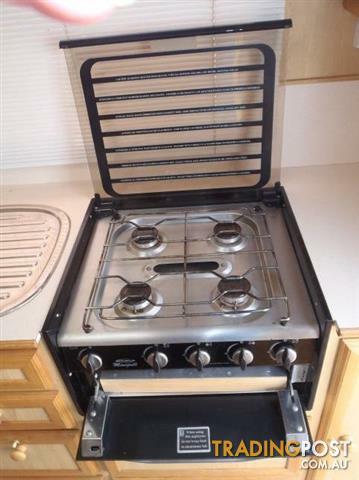 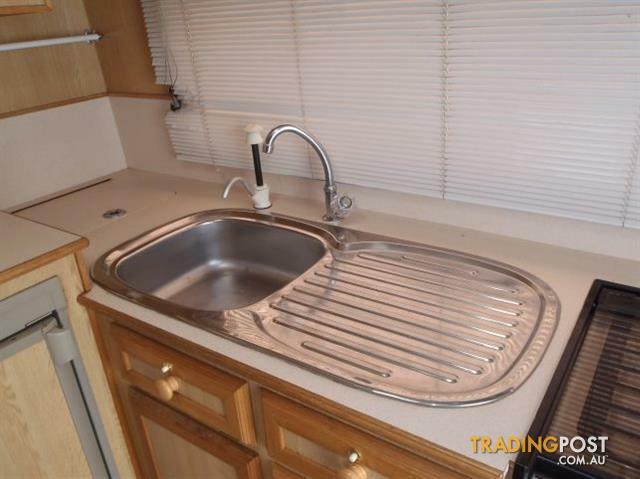 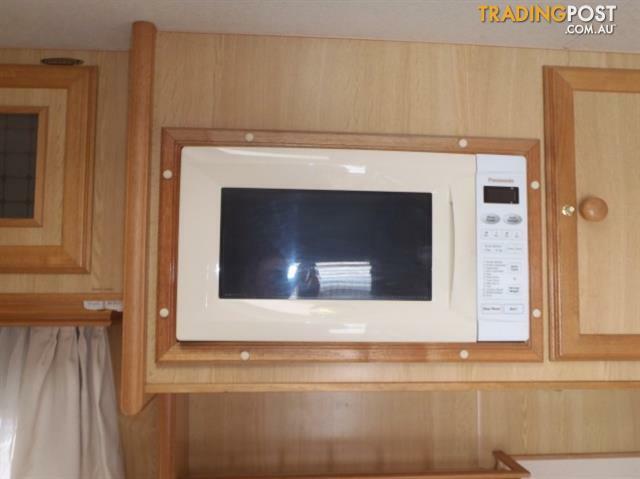 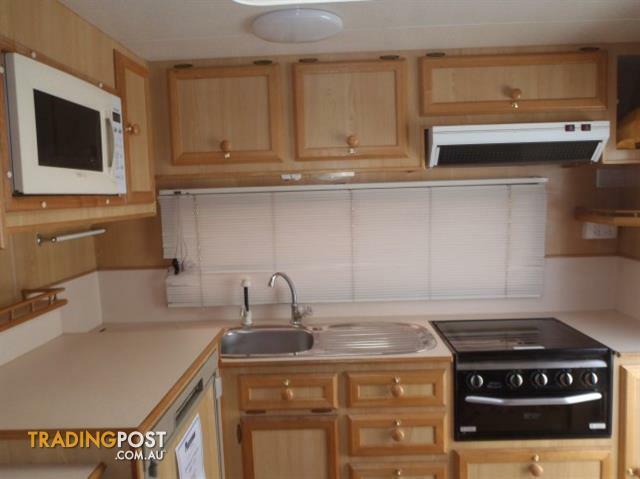 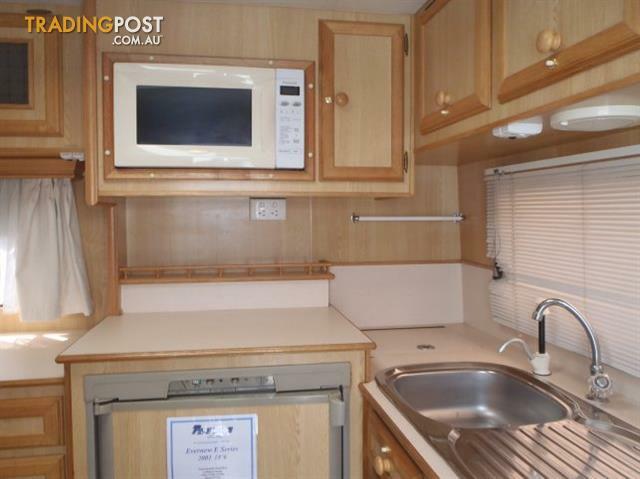 Kitchen facilities include a 110Lt 3-way fridge, gas burner grill and microwave. 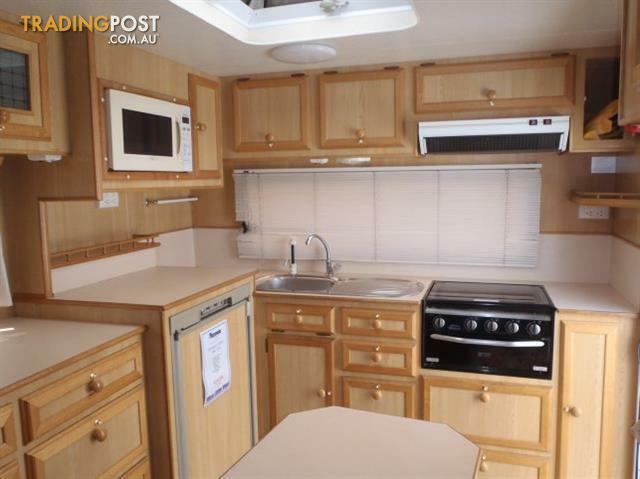 Features also include a step infill, roll out awning with walls and roof air con. 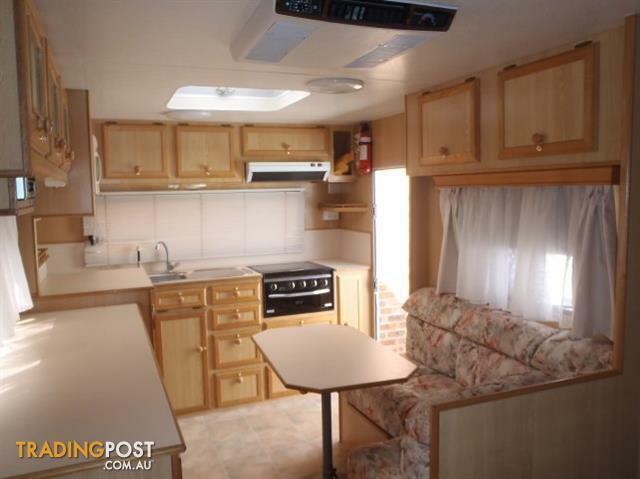 Sale Price: $19,490 Tow Away from Parravans!